A group of individuals at California Baptist University have united to help improve lives of children battling cancer by providing hats for many children with the illness. “Love Your Melon” was founded in 2012 by two college students from the University of Saint Thomas in Minneapolis, Minnesota. Since then, colleges around the nation have partnered with the organization in helping children deal with the hardships of cancer, giving them a reason to always have a smile. 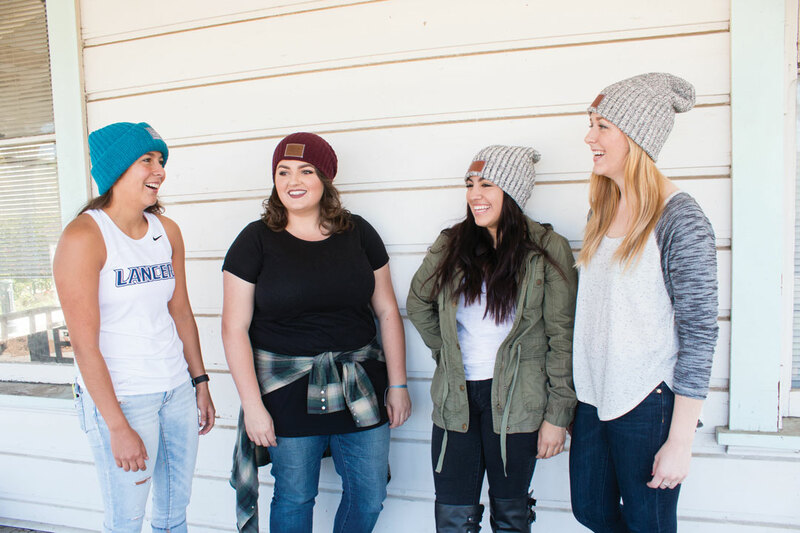 Heaven Murguia, sophomore pre-nursing major, is currently the ambassador for the “Love Your Melon” crew at CBU. She said she drew the inspiration to join this movement after her younger sister passed away from cancer two years ago. Murguia said joining the group began the journey of her healing process. With every purchase of a LYM beanie online, another beanie will be donated to a child with cancer, along with 50 percent of the proceeds going to the Pinky Swear Foundation and CureSearch, two organizations dedicated to helping those dealing with cancer. As people credit CBU in the online checkout, it helps the group reach their goal of 500 products sold. When the goal is met, they are then given additional beanies to pass on to children in hospitals. “I think it’s cool because I know there have been organizations where the money doesn’t really get (to people), but the fact that we’re able to actually visit kids shows it’s helping them,” Murguia said. Students can also follow @CBULYMCREW on Instagram, Twitter and Facebook. The LYM group on campus includes 20 members. Those who wish to be members can join a waiting list by contacting Murguia at heaven.murguia@ gmail.com and can have the opportunity to join next year with the departure of many graduating seniors. The CBU LYM crew has also started a team for the Ronald McDonald House Walk For Kids Event to which people can send donations. The public can also register online with “CBU Love Your Melon Crew” to participate in the walk April 3 at the Citizens Business Bank Arena in Ontario, California. Judy Yeager, junior communication studies major and public relations manager for LYM at CBU, said she believed in the cause of fighting against cancer, which was a rewarding experience for her. Murguia said she hopes the movement will inspire others to care for children.